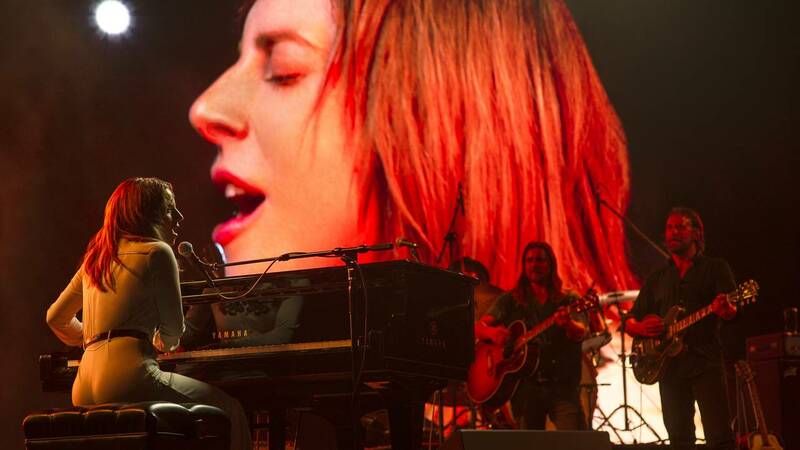 (CNN) - There's a reason "A Star is Born" was made (and remade and remade), meaning a new version needn't reinvent the wheel. Director-star-co-writer Bradley Cooper is shrewd enough not to try, crafting a pleasantly satisfying movie and splashy big-screen showcase for Lady Gaga, in a role that capitalizes on her musical talents as few others could. Although Gaga made a TV foray into the bloody confines of the "American Horror Story" franchise, there's far more dimension -- not to mention singing -- in this update of the familiar showbiz cautionary tale, about a star who discovers and woos a fresh new talent, only to see her light ascending even as his fades. Jackson whisks Ally away with him, and immediately begins dragging her on stage, giving her the opportunity to perform in front of arena-sized crowds. "It's a good thing we met. For both of us," he tells her. Yet while Ally is understandably dazzled by this sudden burst of stardom, Jackson's substance abuse brings with it several layers of baggage. His erratic behavior, moreover, risks alienating not only her but those closest to him, including his brother and protector, played by Sam Elliott, whose gruff voice Cooper seems to be consciously channeling. It helps immeasurably that the film is so solidly cast around the central duo, including Elliott (in what will very likely be an Oscar-nominated hurrah), Andrew Dice Clay as Ally's star-struck dad and Dave Chappelle as Jackson's old pal. Having comics in prominent roles also helps out with the film's lighter side, providing welcome balance to the angst and drama. As noted, there's nothing especially novel about this very old story, but Gaga's coming-out party -- and the effortless chemistry that she and Cooper exhibit -- makes this feel like a big, splashy star vehicle, which, in an age of special-effects-driven blockbusters, studios don't champion as frequently as they once did. And while the film's festival run created what might be some irrational (or at the very least premature) exuberance about its award prospects, all concerned would frankly be better served toning down the intergalactic hype and simply savoring the sheer enjoyment of it. For Cooper, it's a polished directorial debut. For Gaga, it's as comfortable a bridge from pop stardom into the movie world as one could imagine. As duets go, that's the sort of combined star power that's difficult to beat -- and should be music to a whole lot of ears. "A Star is Born" opens Oct. 5 in the U.S. It's rated R.